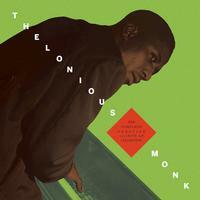 Celebrating Thelonious Monk on the centennial of his birth, this limited-edition, 5-LP vinyl box set features all of the 10 LPs which the innovative pianist recorded for Prestige Records, between 1952-54. Each album has been faithfully reproduced on 10-inch vinyl, with the original cover artwork and session notes. Rounding out the box set will be a booklet with new liner notes by Robin D. G. Kelley, author of Thelonious Monk: The Life and Times of an American Original.